In response to an article posted by the Social Times, Lawrence Teicher of CFO Consulting Services, a leading CFO services provider, discusses how financial officers are using social media. 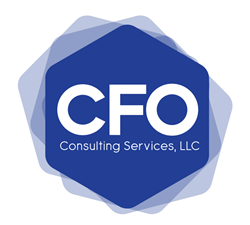 CFO Consulting Services, a company providing CFO services on a part time basis, details how chief financial officers are using social media to keep up with business trends. According to a March 7th article published by Social Times titled “How Are CFOs Using Social Media?” CFOs are typically not an active group on social media. New data from Leadtail, a social insights firm, found that the number of CFOs using social media has increased over the past few years. Analysts documented information about what financial professionals are reading and what publications or brands influence them most. The article says Leadtail’s study analyzed approximately 50,000 tweets and over 3,000 shared links from 500 CFOs during a three-month period last year. According to the article, 55 percent of CFO’s use the Twitter app to keep abreast of trends and to share content. Most of the business related tweets and posts contain articles from Forbes, The Wall Street Journal and Business Insider.